Old name, new tech for Honda's resurgent NSX sports car. The new Honda NSX is an edgy looking wedge that's more origami in shape than organic, but being Honda there's a reason for everything, the NSX's form as functional as it gets. Not conventionally beautiful then, but it's hugely impactful, as it's different, which is a good thing given the busy marketplace it'll be competing in. Some of the detailing is exquisite, such as the flying buttresses at the rear and the large apertures for the cooling radiators that keep the mid-mounted 3.5-litre turbocharged V6 sizzling at the right temperature. There's additional cooling up front, those bonnet vents demanded by the engineers rather than the stylists. There's nothing under there but radiators and structure; all the NSX's hardware means luggage space is at a premium. There's some behind the engine proper, but not much, so you'll need to pack light. That Honda's engineers have managed to squeeze in a pair of electric motors for the front axle, a 3.5-litre V6 with a pair of turbos and an additional electric motor (to compensate for any possible turbo lag), a battery and fuel tank under the NSX's relatively compact proportions is impressive indeed. What's even more remarkable, given the huge technical arsenal underneath, is how natural it all feels to drive. Any concerns that the NSX's powertrain will dominate the drive is quashed after a few minutes behind the wheel, ignoring of course the cumulative effect of all those motors on the accelerative ability, which is nothing short of incredible. How incredible Honda's not saying, officially at least, though quietly it'll admit internal testing against Porsche's 911 Turbo saw it beat the German, so around 3.0 seconds, give or take a tenth or two depending on conditions. Fast then, by any measure, supercar fast, while Honda is happy to quote a top speed of 307km/h. All those motors mean that top speed arrives quickly, despite the NSX's sizeable bulk. The way it manages both its weight and all the performance it offers is genuinely impressive. The front wheels each have an electric motor, which allows a torque vectoring effect (in combination with individually braked rear wheels on corner entry), the rear wheels are powered by the 3.5-litre V6 twin turbo, which has any turbo lag filled by a direct drive electric motor. The response of all that is sensational, the NSX's agility alarming. The nose is super precise and grip levels high, yet for all its accuracy and clarity of response it's not clinical or remote, instead being engaging and interesting to drive. That's doubly impressive when you consider that the brakes are controlled 'by wire' and the steering is electrically assisted (like the original). Factor in all those various motors, not to mention the nine-speed twin-clutch automatic transmission, and the NSX could have been a technical marvel that's as characterful as a phone, yet Honda has engineered it to be a car you'll love driving. There's a playfulness to the chassis that will allow you to drive the NSX as wildly as you like, its limits easily read. It's not a car that's got an edge when it starts moving around underneath you. You can exploit that quick turn in, slightly unsettle it and have the rear wheels powering you out of bends if you like, especially in Track mode, which backs the stability and traction control systems right off. It's just as enjoyable if you keep it neat though; the stability under braking is mighty, there's some feel both at the pedal and through what looks like an uncomfortably-shaped steering wheel - it is in fact as great to hold as it is to turn. The engine is at its best on track, at high revs, when the sometimes brutal force it delivers is backed with a glorious howl. It's not quite as impressive below 4,000rpm, or in the lesser Sport or Sport+ modes, sounding a bit wheezy and uninspiring. It's best, in normal road use, to opt for the quiet mode. That there's only four modes is something of an oversight; we'd like some configurability, pairing the Track mode's whip-crack transmission and engine responses to a more pliant ride, for example, as the magnetic dampers in Track mode are understandably on their most focused setting. Small quibbles in what's otherwise a genuinely surprising car, which, rather than being dominated by its technology, actually benefits from it with regards to driver involvement. Oh, and the simple matter of going very fast indeed. Even so, we can't help but think how impressive an NSX without those electric motors (and the weight they bring) could be. After all, the 3.5-litre V6 twin-turbo is not short on power with 507hp without any batteries or electric motors helping it... Type R NSX, please Honda? The NSX is a different take on the sports car, and it has to be for Honda to compete. It's entering a marketplace that's not short on talent, Audi's R8, the Porsche 911 Turbo, Ferrari 488, Lamborghini Huracan and McLaren's 570S are all priced within reach of the new NSX, for instance. Honda's not got quite the prestigious clout here, as denoted by that interior, but its performance isn't in question, and those who know Honda understand its enormous engineering integrity - the NSX represents the pinnacle of that. Honda's might new NSX sports car is a tech fest that manages to hide its complexity with a drive that's scintillating and rich in engagement, underlining the company's huge engineering ability. The interior lets it down a bit in such a competitive class, but in every other way the NSX manages to be right up with its rivals and in many ways better than them, in a package that's hugely desirable and, crucially, interesting. It'll be rare, too, which adds to its allure. The NSX will be a decision rather than a default purchase, which is a sizeable part of its appeal. 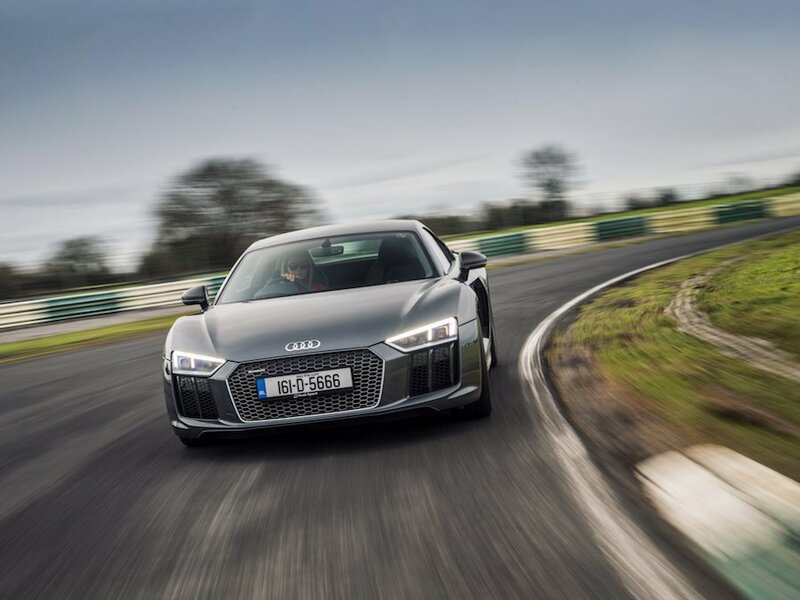 Audi R8 V10 plus vs. Honda NSX: a more special engine more of the time, but even the mighty R8 feels like it'll be chasing rather than leading the NSX when they eventually meet. 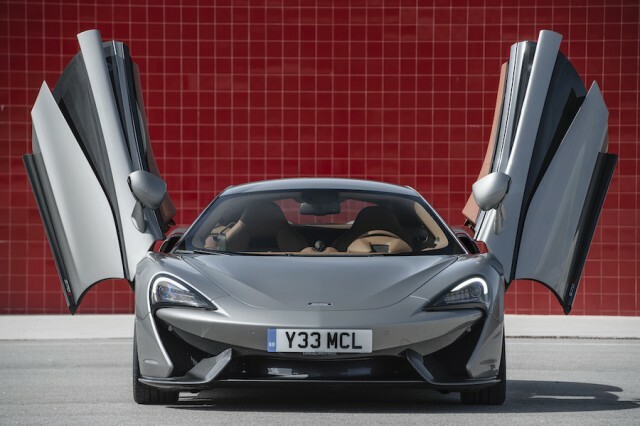 McLaren 570S vs. Honda NSX: McLaren says sports car, we say supercar, the 570S is the car of the moment in this category, for very good reason. It'd be our choice, though the NSX is a more rounded machine. 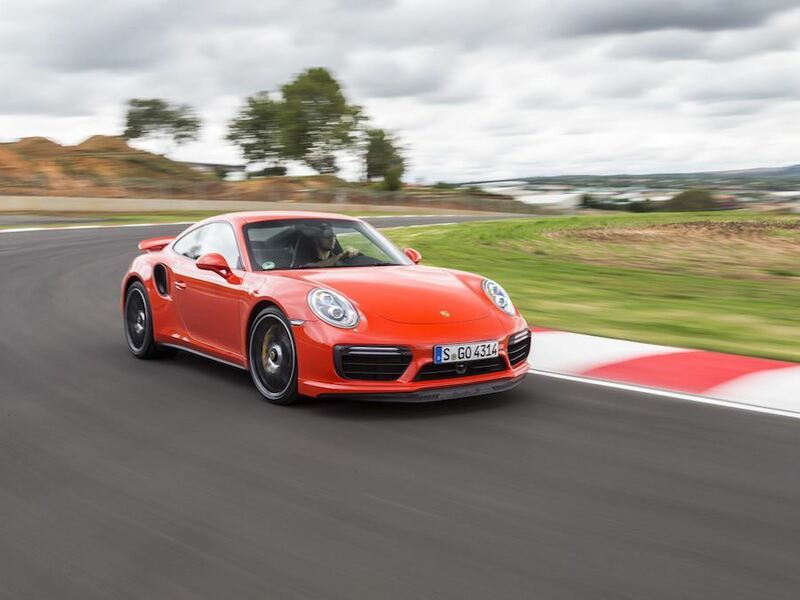 Porsche 911 Turbo S vs. Honda NSX: one of the cars Honda benchmarked the NSX against, though that was likely the older one; this one's faster still. Ridiculously capable, but nowhere near as exclusive.